Orthonix spaldingii Ramsay, 1868, Rockingham Bay, Queensland, Australia. Three subspecies. 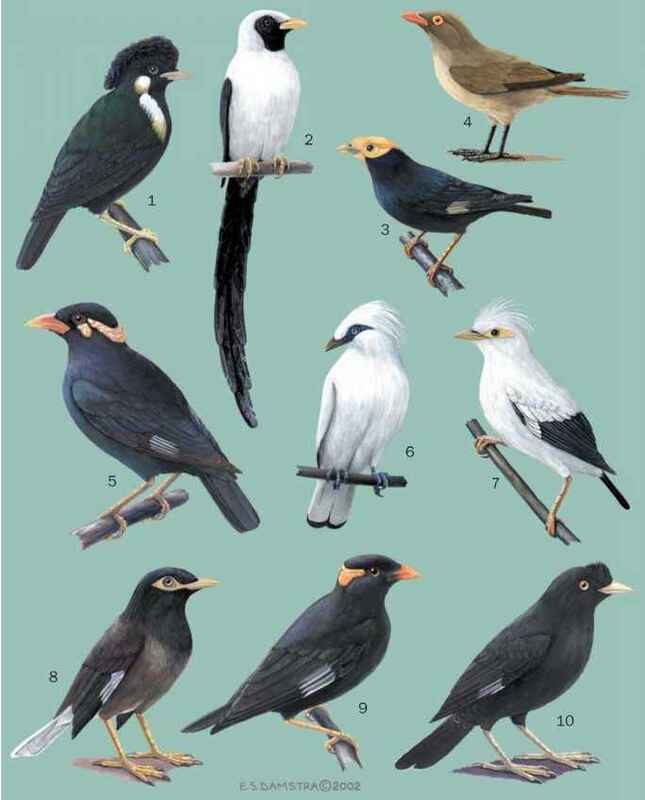 English: Northern logrunner; French: Orthonyx de Spalding; German: Schwarzkopfflöter; Spanish: Corretroncos de Spalding. Territorial at all seasons, often living in family parties. Highly terrestrial. Often shy, but may be confiding when feeding. Generally unobtrusive except when calling. Loud, ringing "chow chowchilla chowry chook chook" or "chow chilla chow chow chilla"; also other growls, chucks. Forages by vigorous scratching, excavating shallow depressions in ground. Eats insects and other terrestrial invertebrates; occasionally seeds. care of nestlings. Male provisions female during activities. Nest is a dome of sticks, twigs, and moss, side entrance hooded by moss, platform of sticks leading to entrance; on or near ground in clump of vegetation. Incubation, 25 days; fledging 22-27 days. Not threatened. Although some reduction of range has occurred through habitat loss, this species is still common.